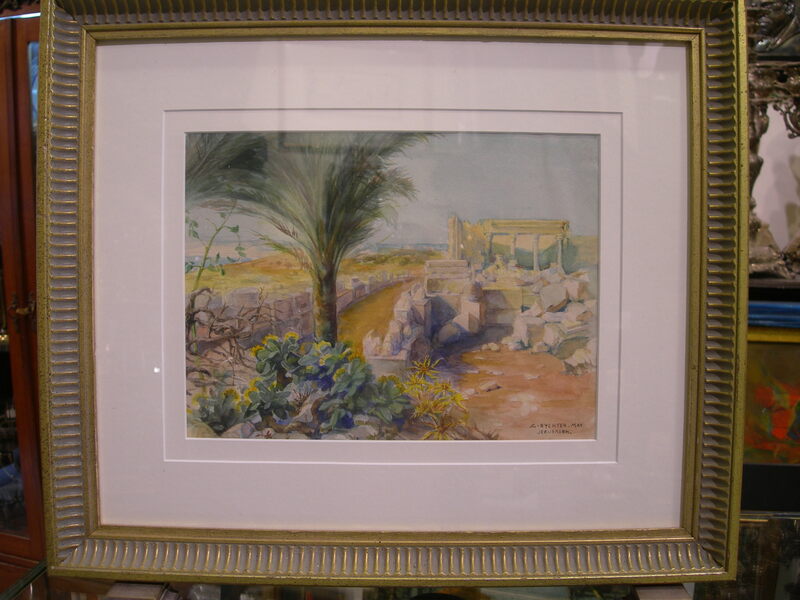 Framed signed and titled watercolour aquarelle, depicting Kfar Nachum Capernaum. Painted by well known German born artist Anna Rychter May (1864-1955). 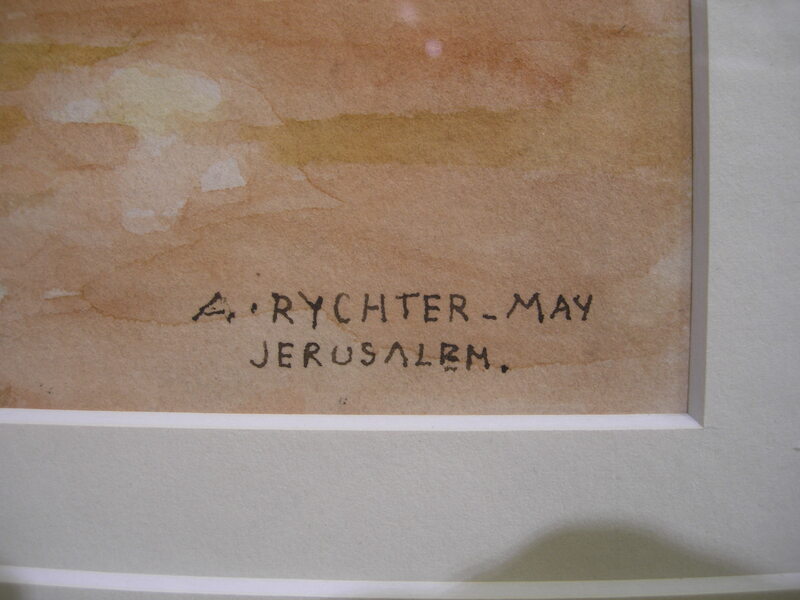 Clearly signed and titled Jerusalem. 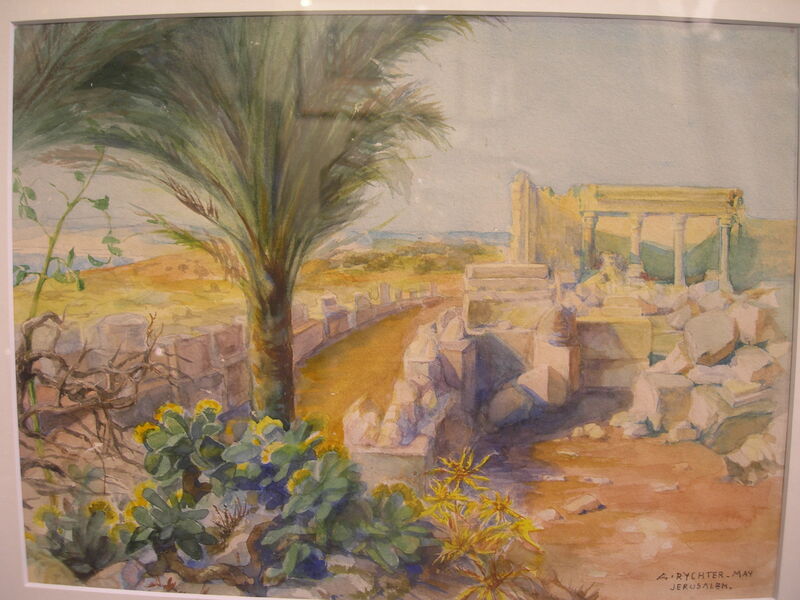 Size of actual watercolour 27cm X 20 cm.